Beginning tomorrow, Grand River Transit will be hosting a series of public consultations on its preferred 2015 service improvement plan. These new route designs, mostly centred around Kitchener wards 1, 2, 7, 8, 9, and 10, continue the trend of a more direct, grid-like frequent service network we saw for Waterloo in 2013. We encourage you to attend a session or submit your feedback online. Notable changes include a new Victoria/Highland iXpress route, more continuos cross-corridor (east-west-ish) routes, limited service to Bingeman’s Centre Drive, and gradual shifts away from Highland Hills and Charles Street Terminal towards The Boardwalk and the future transit hub for certain routes. Many of these changes are in preparation for ION light rail. Certain route changes have also spurred investigation of a new highway crossing for people on foot and bike. Some of the preferred improvements, especially around the central transit corridor, are scaled back from what had originally been proposed in the fall, in part due to the challenges and resource constraints during ION construction. We’ve tried to summarize these changes in the post below. While not part of the plan under consultation, we’ve also included changes to Cambridge service and the announcement of funding for transit in Wilmot in our discussion. In light of the opposition, it feels as though an opportunity was missed here to better communicate how a more grid-like transfer-based system around the central corridor and universities could improve the network and experience of using GRT as a whole. TriTAG continues to believe that these areas would be better served with higher frequencies and less branching. One imagines that a large portion of the pushback can also be attributed to a lack of communication and/or planning as to how other routes might be reconfigured to provide service on the west side of Ring Road. The preferred route of the 204 remains unchanged from the fall, following Ira Needles from the Boardwalk, along Highland, Victoria, and Lackner to Ottawa. In the downtown, it would skip Charles Street Terminal, stopping instead at Charles and Benton and following the future northbound ION branch to the King and Victoria hub. Weekday service would run every 15 minutes, with 30 minute headways on weekends. In the fall, one of the proposed network alternatives included an early implementation of the Ottawa iXpress from Lackner to Charles. 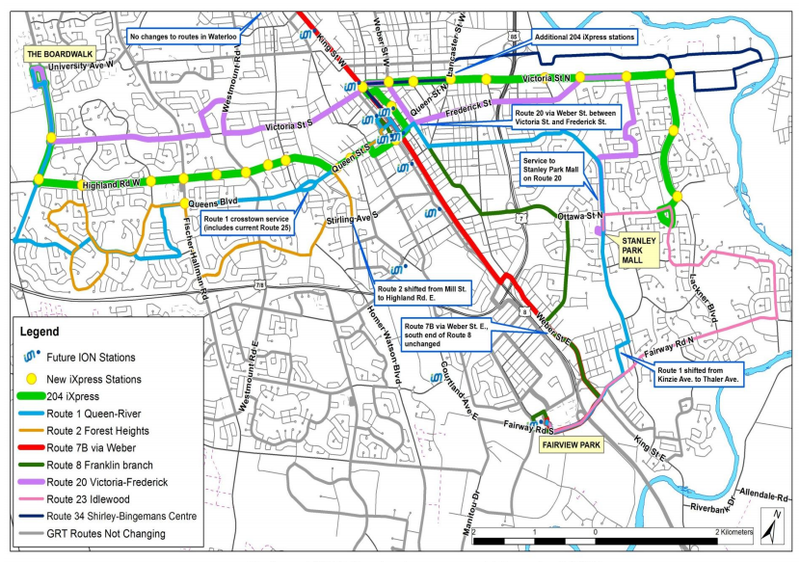 Staff are now recommending not implementing this route until 2017 as outlined in the GRT business plan (which is a more gradual roll-out of the iXpress routes outline in the Regional Transportation Master Plan). Route 1 (Stanley Park) and route 25 (Queen South) have been combined into a more linear cross-town route. Despite the short walking distance, a diversion from River to Thaler Ave near Fairway Road is included to provide immediate access to a seniors’ home on that street. Service will run every 15 minutes at peak periods, and 30 minutes otherwise. The new route 20 is being merged with the 19 Victoria South and 15 Frederick, extending from The Boardwalk, along Victoria and Frederick, to Stanley Park Mall. Like the 204, it will skip visiting Charles Street Terminal, instead passing through the future transit convergence point, by the future King & Victoria hub. Route 2, which winds through the Forest Hill neighbourhood, is being straightened out slightly, while picking up some of the neighbourhood coverage west of Fischer-Hallman formerly carried by the 25 Highland. 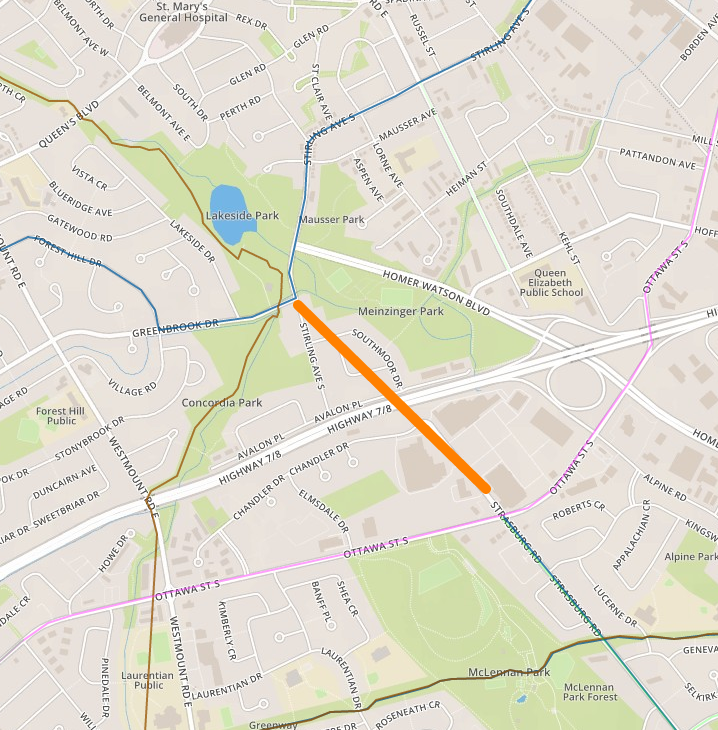 The loss of the Avalon/Southmoor loop has prompted a feasibility study for an active transportation bridge across Highway 7/8 at Chandler Drive to enable the neighbourhood access to route 3 and the Laurentian Power Centre. Such a connection would have an enormous impact on the walking and cycling access for the area – it would link the Lakeside Trail and proposed Stirling/Forest Hill bike route to the north with the Strasburg bike lanes, the McClennan Park trails, and the soon-to-be-constructed multi-use paths along Ottawa. It would help to alleviate the profound shortage of good highway crossings for pedestrians and bikes in the area. 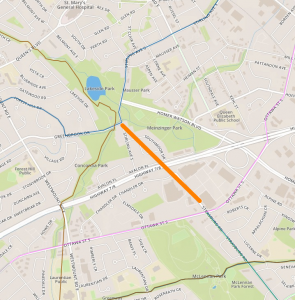 New peak-hour only service on Shirley and Bingeman’s Centre Drive is being proposed. It is uncertain from our perspective at this point what service will look like during (and following) Highway 7 construction, given the limited points of access to the area. The 203 Maple Grove iXpress is to get weekend service, allowing Hespeler routes to be consistent every day. 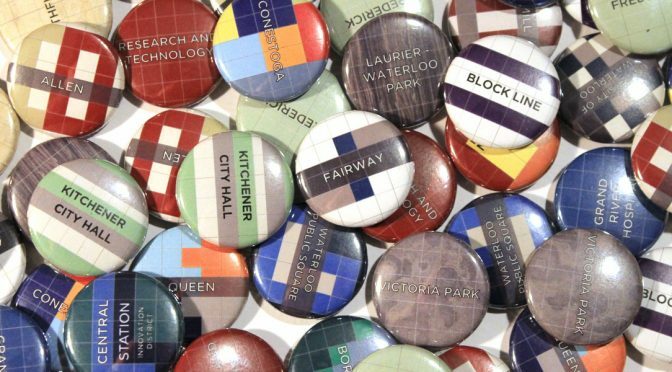 (The 51C will no longer be needed as a result, and Queen Street will have service every day of the week.) A few stops on Franklin will be removed once road construction improves pedestrian facilities to consolidated stops. Other initiatives in Cambridge include a discounted Conestoga College Pass, a Growth and Intensification Study, updating the Core Areas Parking Master Plan to include transit-supportive measures, pedestrian enhancements to Ainslie Terminal, a GO Train Feasibility Study, and marketing campaigns for ION and TravelWise. Of course, the most notable change for 2015 will be the introduction of ION aBRT service in the fall. The Transit Project Assessment for stage 2 light rail into Cambridge is planned to begin around the same time. GRT, along with community partners, had applied for a provincial Community Transportation Pilot grant to run BusPLUS-like transit service to Wilmot. Initially, it appeared that the Region had failed to win the grant, but yesterday the province announced it had additional funds for more municipalities, including the Region. The provincial announcement describes it as a “new flex-route rural transportation service to be integrated with transportation services provided by community organizations as well as a conventional public transit system.” The route is expected to begin service in January 2016. Details are expected to emerge sometime after the public consultations have completed. Interesting how things come and go. Routes 1 and 25 used to be combined as Route 1. Sometime after 2001 GRT renumbered some of the route branches that went through the Charles Terminal (2&22, 3&23, 15&24, 11&19/20), as well as taking the “A” and “B” off the Route 8 legs, and adding 7E (formerly 7D University and 7D Columbia) and 7F (formerly just 7) labels for greater clarity. These were all good changes, but the 1/25 route as a continuous crosstown route actually makes sense, especially as the create other crosstown routes (204 & 20) in this round of changes. This map suggests that the Highland Hills Mall terminal won’t be used anymore, with buses rather going by on Queen, Highland, or Fischer-Hallman. Is this correct? And will a dedicated “terminal” be built at the Boardwalk?